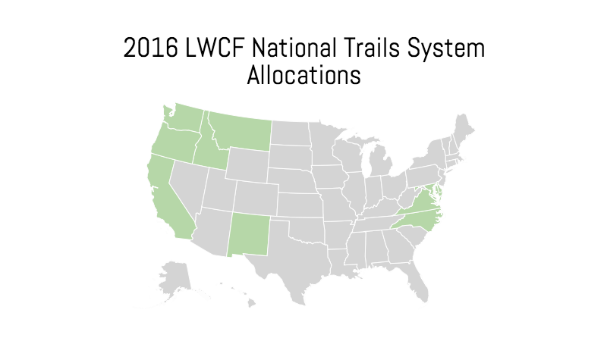 In December, thanks to great work by a group of persistent Republican and Democrat Senators and Representatives, the Land and Water Conservation Fund (LWCF) was reauthorized by the Omnibus FY 2016 Appropriations Bill through September 30th, 2018. Currently, a bipartisan Energy Bill is up for debate in the Senate, which calls for permanent reauthorization of the LWCF. It is predicted, however, that over the next few days moves will be made to strike down permanent reauthorization. Once again, we need your help to ensure the future of this crucial source of funding for our National Trails System and public lands. Click here to learn how you can make a difference.